For a 24 Hour Bondsman in Indiana, Get in Touch with Indiana Bail Bonds Now! When you need a 24 hour bondsman in the state of Indiana, our bail bond agents are here to help. We are a licensed bail bond company with over twenty years of experience with bail bond services. At Indiana Bail Bonds, we know that securing bail for you or a loved one can be a stressful process. With our knowledge and compassion, we are confident that we are able to get you released from jail quickly. 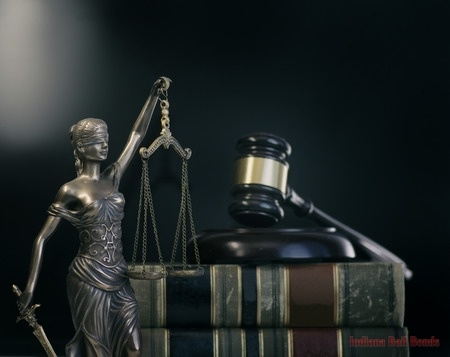 We offer help for clients who have been charged with DUIs, misdemeanors, felonies, and warrants, providing immediate assistance 24-hours a day, seven days a week. We are only a phone call away, so dial us at 317-423-9300 to speak with a reputable and certified 24 hour bondsman in Avon and Indianapolis, IN about our bail bond service and the bail bond process. In situations where you have been charged with a crime and jailed, it can be a scary experience. At Indiana Bail Bonds, we want to be the bail bond company that you go to for your bail bonds service in Indiana. We believe that regardless of the crime you are charged for, you still deserve kind and professional bail service. Our bail bond agents will treat you with the utmost respect and provide you with high-quality and reliable bail bond services that you can afford. Here are the bail bond services we offer our clients. To get in touch with a 24 hour bondsman in Avon and Indianapolis, IN, please call 317-423-9300 today to talk with one of our licensed bail bond agents. Updated on February 1, 2019 at 2:22 pm by Indiana Bail Bonds.